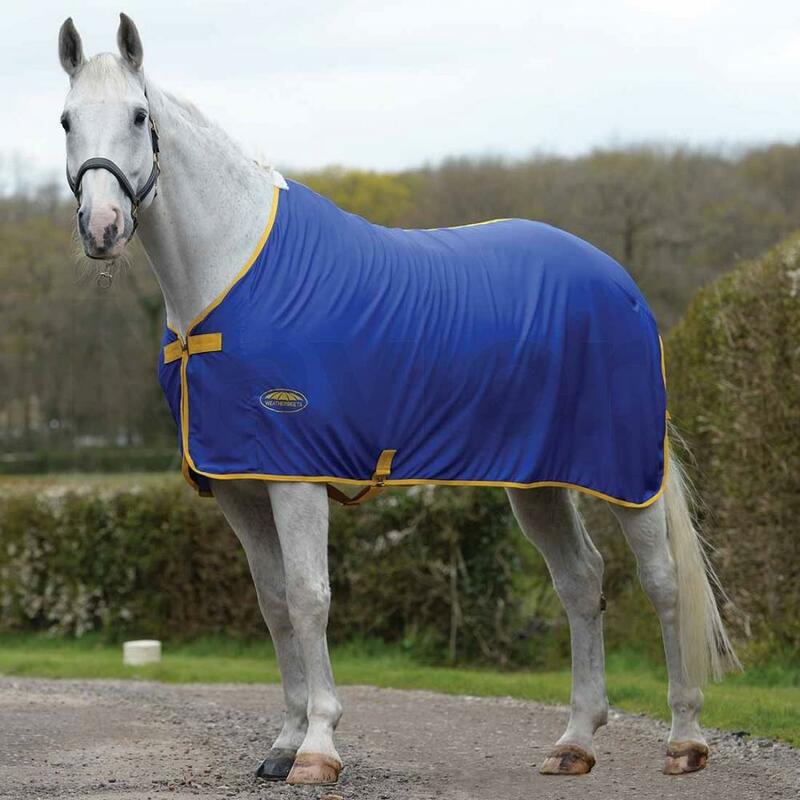 WeatherBeeta Airlite Cooler is a breathable and lightweight Polyester cooler which which assists with regulating your horse's body temperature on warmer days. The features of the WeatherBeeta Airlite Cooler include a single front chest strap and satin lined shoulders to prevent rubbing. The cooler has a single belly surcingle, fleece wither pad for added comfort and a fillet string. This cooler is ideal for using in the stable on warmer days or during show preparation. There are currently no questions for WeatherBeeta Airlite Standard Neck Cooler - be the first to ask one!